Non-Member Pricing - SCRS MEMBERS SAVE $100 EACH! Current members can login to their account to receive this special offer. 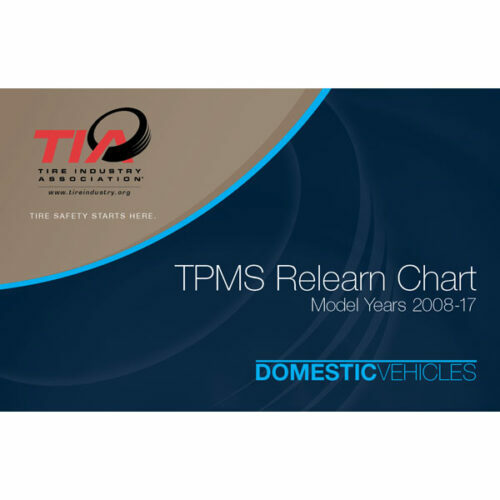 The TIA Tire Pressure Monitoring System (TPMS) Relearn Chart serves as a valuable, comprehensive, and quick reference guide that technicians can easily navigate through to service any vehicle – Foreign AND Domestic – equipped with TPMS. Your organization won’t want to be without one! It will save you time and money the first time you use it. 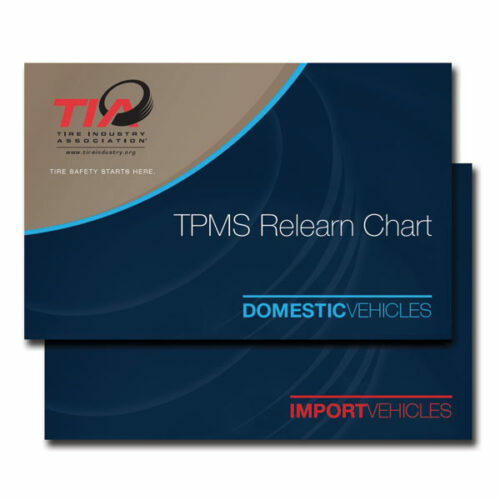 The TIA Tire Pressure Monitoring System (TPMS) Relearn Chart is divided into two sections: domestic and imported vehicles. In each section, vehicles are listed by make, model, and year. SCRS has worked to secure special member pricing on this resource. Please Note: There is a limit of 10 per order. If you need to order more than 10, please contact us.